Last week began well, with the first of three more winners coming at Chepstow on Tuesday. Spinnaka’s first victory was well overdue considering that she has finished runner up on six previous occasions, and she received a good ride from Luke Morris in a first time visor. So Sleek (pictured) landed her hat trick under Jamie Spencer two days later at Yarmouth, adding to her maiden win at Lingfield and her handicap win at Salisbury. She just seems to do enough, and we may try a Listed race next time given the way she is going, with the Beckford Stakes in mid-October (this year run at Yarmouth) under consideration for her. 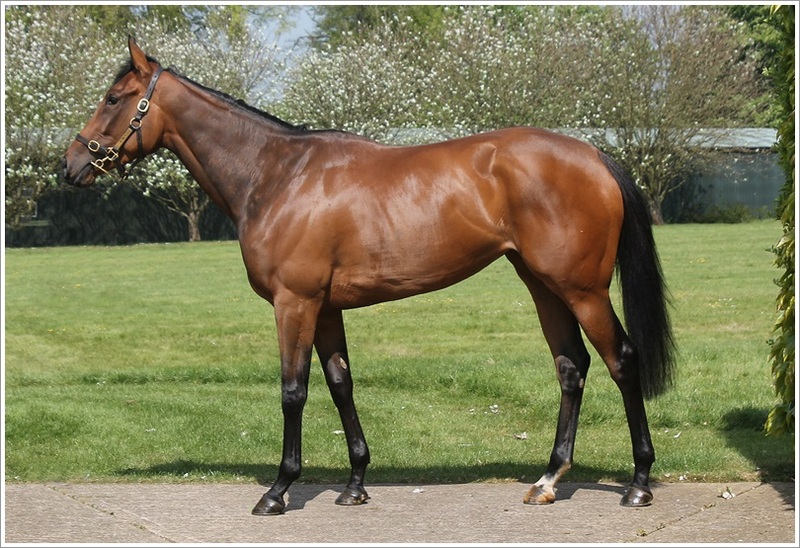 We sent two runners up to Newcastle last week, however, Chocolate Box would not have been suited by a steadily run race over two miles and he is worth another chance to build on his win at Chelmsford previously. Vanity Queen ran well to finish third in a fillies handicap over a mile having conceded first run to the winner. Earlier that day Bedouin had run what was probably a career best to finish second at Newbury, showing a good attitude as he tried to close on the winner all the way to the line only to fail by the narrowest of margins. We had two runners at Newbury and four runners at Newmarket on Saturday. At Newmarket, the race tactics were not ideal for both Vuela, who had to lead her field, and Dubara, who was held up in a steadily run five runner affair, while Gorgeous Noora needed her first run having last been seen on a racecourse ten months ago . Things went better at Newbury, with Banksea bouncing back to finish fifth in a red hot renewal of the Dubai Duty Free Handicap, and Warsaw Road winning a competitive looking three year old handicap in good style. Banksea may go for the Cambridgeshire this Saturday providing he comes out of his race well, while Warsaw Road, who is unbeaten in three starts on quick ground, will hopefully have one more run this season. We start this week with a couple of all-weather runners on Tuesday. Kitty Boo goes to Chelmsford to run in a mile fillies maiden. She has form on polytrack and, as she does not like soft ground, this seems a good option for her. Manangatang has been gelded and given a break since he was last seen on a racecourse. He seems to be in good form at home, however, this is a bit of a fact finding mission after his last two runs. Total Star is also coming back from a break, and has been dropped a couple of pounds by the handicapper, so should run well in his race at Kempton on Wednesday. Brighton winner Wilson is set to run at Chelmsford in a novice auction over seven furlongs, while Rigoletto will run at Newmarket on the same day. Rigoletto ran a career best to win at Chepstow last time, so hopefully he can keep progressing. We look set to send three runners to Newmarket on Friday, with impressive Bath maiden winner Good Way Off stepping up in class for the Listed Muhaarar British EBF Rosemary Stakes over a mile. Pleasant Surprise will also step up in class when lining up for the Group 3 Princess Royal Nayef Stakes. She has finished second in Listed company on her last two starts so will have to improve to get involved, but she is in good form at home. Recollect is a nice promising two year old who will also run on the same card, although it looks a very competitive race at this stage. Also on Friday, apprentice Gabriele Malune will take the ride on Kings City in an apprentice handicap at Haydock providing the ground is not soft. Kings City is up half a furlong in trip and is a three year old taking on his older horses, so he can hopefully run well.